"A Capture-The-Flag For The Rest Of Us!" Anyone can play, all are welcome! Designed for first time CTF players who want to learn, be challenged, and have fun! No qualifiers. No pre-registration. On your own time, at your own pace! Want to go catch a talk? Sit in the back and hack while you listen! Do it! You don’t have to spend lots of time in order to do well or have fun. Each flag carries a point value based on its level of difficulty and in the end, the person with the most points wins! No reason to fear for your safety! Your system isn’t exposed & your exploits shouldn’t leave your machine (unless you do it). No fears of other competitors targeting you. Less frustration trying to learn the game and goals. 2016 repeats the "Bootable CTF” format where you show up, boot up, and start capturing flags! The entire CTF is contained in a virtual machine image you run locally (via provided CD/USB). To participate you simply register online & get instructions, get your virtual machine image, and enter your flags online as you capture them. When will the CTF start? Immediately following SkyDogCon opening remarks on Friday, October 20, 2017. When will the CTF end? When SkyDogCon closing remarks begin on Sunday, October 22, 2017. Do I need to pre-register in order to compete? No. How long will it take to compete? There is no set time a participant is required to commit. 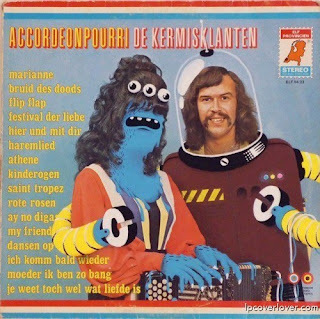 Play at your leisure and have fun! Can I do this individually? Yes! Are teams allowed? No. 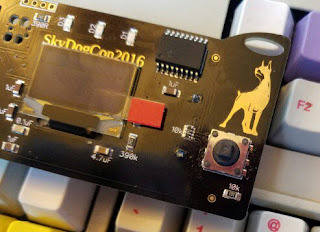 The 2016 SkyDogCon CTF is scored individually. I’m not able to attend SkyDogCon, may I compete remotely? No, remote players are not eligible for prizes (must be present to win). Yes, you may play remotely & get mad props, etc., without eligibility for prizes. Can I work with others on the challenges? Working with others is not prohibited and certainly encouraged for purposes of learning, but sharing answers will not benefit participants overall standings. Though you may find value working with others, ultimately only one person per prize position will be allowed. How can I track my score and standing? The CTF registration site contains a scoreboard with the status of all CTF participants. What if there is a tie in score for a prize position? Ties will not be allowed and a tie breaker will be implemented in the event of a tie for a prize position. Where do I connect to the CTF network? It’s a trick question! There is no central network! What is “in-bounds” and “out-of-bounds” for the CTF? The ONLY “in-bounds” target is the provided virtual machine running on your local system. All other systems, networks, and sites are “out-of-bounds” and not part of the competition. Will I have internet access while competing? The hotel does have wifi for guests but may not be open to participants at SkyDogCon. Internet access is not required to attempt challenges but will be needed to register and submit flags for points. What tools and/or software do I need? There are no required tools to compete. Kali Linux is recommended and contains all tools necessary to complete the various CTF challenges. What skills do I need to have? A basic working knowledge of the Linux command line. Where do I get the instructions and virtual image? Instructions will be provided at the CTF table at SkyDogCon as well as on the CTF website. You may acquire the image from the CTF table via CD/DVD/USB. How will the virtual machine work? When installing the provided virtual machine into your local virtualization software, you should configure it for “host-only networking” after which it will receive a DHCP address from your virtualization software. Once you’ve identified its local-only IP address you are ready to begin! How do I ask questions or get help if I’m stuck? Simply tweet @jamesbower with your questions. You may also ask questions at the CTF table in the conference area.